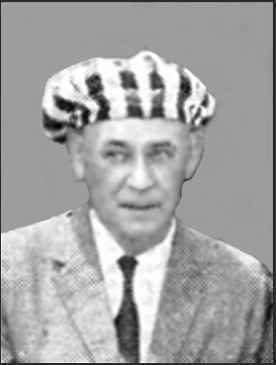 from Who's Who in American Aeronautics, 1928 Automobile Service: born, Sweden, Jan. 1, 1887. Aeronautical Activities: Inspector Curtiss Col, Buffalo, 1921; built own planes and flying since 1911. Flying Rating: F. A. I. 161 at Chicago. Present Occupation: Automobile shop. Address: 387 Elm Street, New Britain, Conn.
CICERO, ILLINOIS, 1911 Above you see Nels Nelson in his 33-foot flying machine at Cicero, Illinois in 1911. Nelson with the same machine exhibited before crowds at Plainville, Connecticut as discussed in the accompanying story just following. NELSON PIONEERED AVIATION IN PLAINVILLE A news story in the Hartford Connecticut Times of August 18, 1956, as sent in by P. H. Spencer, brought out the history of aviation in Plainville, Connecticut. "In 1911," it said, "Nels Nelson, a daring 22-year-old from New Britain, first flew his 33-foot "flying machine" from the Scott Swamp District off present Route 177 in Plainville. It went on to describe the event as publicized in Hartford papers of that early day. in his aeroplane purchased from Nels Nelson. Collection of Matt Pilcher - grand nephew of Mary Swiggart. via email from Becky Burdick McLaughlin, 2-25-05 Recently, I had the opportunity to correspond with the grandnephew of Miss Mary Fields Swiggart. She was mentioned in your memorial of Nels J. Nelson as being a passenger of his during the delivery of his plane to Charles Schwartz of Humboldt, Tennessee on May 8, 1913. You can read the rest of her story and see an enlarged view of the plane by clicking on the title above. Aviation Industry in Connecticut In Connecticut, as throughout the rest of the country, the flying fever gripped the imaginations of men - men such as Charles K. Hamilton, Nels J. Nelson, Frank Payne, George F. Smith, Peter Dion, Howard S. Bunce, Christopher Lake, Percival Spencer, and others. Hamilton of New Britain was the first. Chucking his dirigible, he learned to fly airplanes under the great Glenn H. Curtiss in late 1909 and within six months his daring flight exhibitions throughout the United States made him perhaps the best known America flyer at that time. When on July 2, 1910 Hamilton returned to his hometown, New Britain, to show the home folks what flying was like, he was already a popular idol. An estimated 50,000 people gathered at New Britain to watch him make the first public flight in the State. 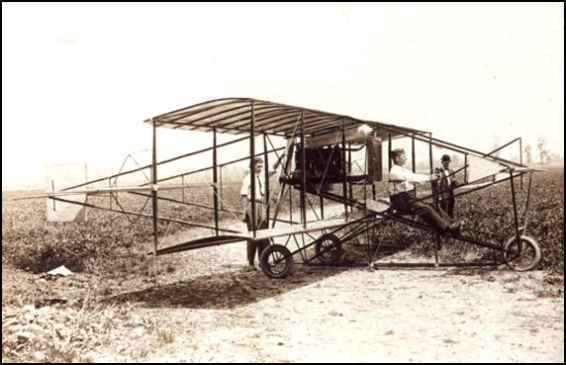 Soon New Britain and Bridgeport became the centers of aviation in the State. The faint beginnings of an industry occurred at New Britain when Nelson built, flew and sold several Curtiss-type airplanes between 1911 and 1914. A dozen or more obscure persons in New Britain feverishly rushed construction of airplanes mostly of their own designs. None could surpass Hamilton and Nelson in flying skill or Nelson in construction. The promise of an aviation industry at New Britain faded when Nelson and his partner, Aaron Cohen, failed to win a U.S. Government contract to build Nelson-designed airplanes. This excerpt is from a paper presented by Harvey Lippincott in 1977 at the Meeting of the Association for the Study of Connecticut History. It is made available through the courtesy of THE NEW ENGLAND AIR MUSEUM. I highly recommed that you visit this site. It is a treasure of articles and photos for fans of aviation. Enjoyed your website and the posting for Nels J. Nelson. I have been in contact with Ron Pyron of Gray, TN regarding a letter from Professor Swartz, Humboldt, TN (1913) to my grandfather. He directed me to your website as I was searching for Nels Nelson as well. The following is a letter received by my grandmother (before she married my grandfather). I believe that Mr. Nelson gave a flying exhibition at Union City, TN in the spring of 1913. Thought you might enjoy the letter. I recieved your letter with the little note enclosed and I sure was glad to hear from you and I always will be. I intended to answer before but I have been away for two weeks with my machine and I never really got a good chance to write but I have had you on my mind all the time. My new machine works fine and I have taken lots of people for rides, my friends I take for nothing but the others I charge so much for a ride and I have done quite a business so far. I took a trip to New York City in my auto on May 30 and stayed several days. I had a fine time. The roads are fine all the way, I wish you could see them. There is one stretch of road about 17 miles long just for auto's and it is very smooth, made of wood blocks, riding on this is a real pleasure. The roads are all oiled so there is no dust. I have heard that Mr. Swartz [C.E.Swartz, Humboldt, TN] has had lots of hard luck and I feel sorry for him. I also heard a man of his made a flight and then smashed up. How is the weather in the South now, it must be very hot, I don't suppose you mind it as you are used to it. Don't forget to write to me once in a while as it will be a pleasure to hear from you. I only wish I had stayed in Union City a little longer. I did hate to leave. Transcript courtesy of Barbara Shaffer, 4-12-05 "The following year saw the July 26, 1913, booking of the first hydroplane exhibition in the Connecticut Valley at Riverside. With 2 1/2 years of flying expertise at speeds in excess of an astonishing 60 mph, Nels Nelson, a Mills Exhibition Co. aviator was engaged to take off from the (Connecticut) river just in front of the park." 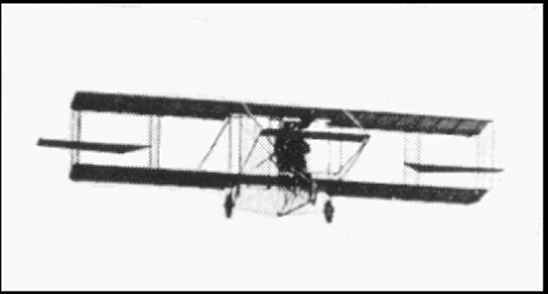 Nels J. Nelson, a daring 22-year old man from New Britain, Connecticut, first flew his 33-foot wingspread machine from the Scott Swamp District over Plainville, Conn. on May 1st, 1911. 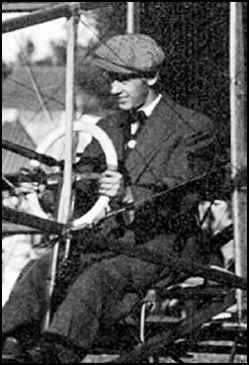 He took his flight test on August 22, 1912, at Cicero flying field in Chicago on a Mills hydroaeroplane, powered with a Kirkham motor, for his F.A.I. Airplane Pilot's Certificate #161. On September 4, 1912, he gave an exhibition flight at Chilton, Wisconsin, in a forty-mile gale and while in the air, the strong winds wrecked his hangar, otherwise his plane would have been totally wrecked. Nels Nelson took Charles K Hamilton, the famous pioneer aviator, for a ride in his flying boat on July 2, 1913. They went up to a thousand feet and flew for half an hour over the town of Weathersfield, Conn. 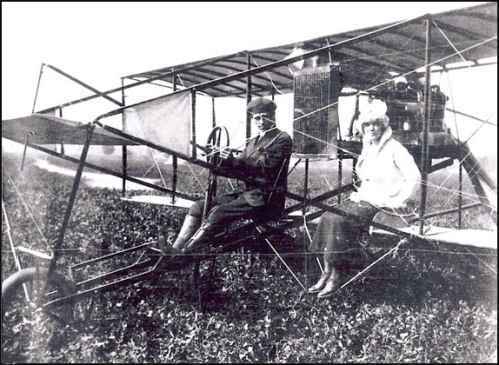 He delivered one of his planes, powered by a 1913, 50 horsepower Kirkham motor and a propeller to Charles Schwartz of Humboldt, Tenn., on May 8, 1913 and flew Miss Mary Swaggart as a passenger.On September 10, 1913, Nelson took one of his Curtiss-type planes of his own construction to Cicero Field in Chicago, where he tested it out. The machine was powered by a Roberts, 75 horsepower motor.